Springfree vs Traditional Trampoline - Trampoline for Me! There is one more thing to consider when it comes to trampolines and their safety – springs. Springs are cheap, but a speedy meeting of spring with your face can yield catastrophic consequences. It is wise to consider all the possibilities, and Springfree trampoline is one of them. 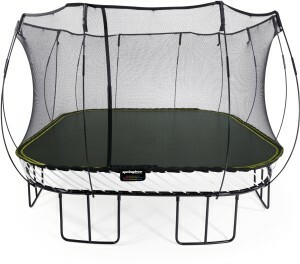 My best friend decided to go with this type of trampoline and I have tested it A LOT! I am really impressed by it, which is why I want to share my experiences with this kind of trampolines. Now, this can be a complicated question. Why? Well, you can’t be biased. Springfree trampolines are patented by, well, Springfree Trampolines Inc. Pretty neat, right? So if I’m talking for or against these types of trampolines, I’m talking directly in favor or against this company. But hey, this is just one man’s opinion who happens to have some experience when it comes to trampolines and jumping on them. Anyways, they wear a tag of the world’s safest trampoline and that is for a reason; the reason being that there is almost no possibility of you getting hurt by a trampoline. As Einstein said, human stupidity is infinite, so you can, of course, hurt yourself if you try, but not by accident. That is the point. Having no spring completely eliminate the possibility of pinching. Safety enclosures are so good that you can jump into them full speed with your whole body and they will just pop you back; they are almost like jumping mat. Of course, that goes in favor. And since it has no springs, there is no need for spring cover (well of course). Feel free to jump on the wider surface than trampolines with springs because of that. Ok, those are advantages. It truly is safe; an absolute masterpiece of engineering. But what about bad things, about the cons? I won’t go deep into the price because I do think that it is justified. But there is one thing I don’t like and that is the way of jumping. More closely, the impact on joints. While a regular trampoline just bends under your weight and springs just want to return the mat into the beginning positions, the Springfree method is a little different; by the way, it is sewn and built, it doesn’t bends up and down but left and right, if that makes any sense. Essentially, it is widening as you jump on it. Why is this bad, you ask? Well, it means that your joints are pulled on the side. While this is no problem for a healthy individual as the impact is minimal, for people with some joint aches this tend to be a real problem. You will feel this while you’re jumping, and it isn’t a pleasant thing. Needless to say that the feeling of jumping is a little different because of the different mechanism, so it needs some getting used to. Now, if you’re buying a trampoline for your kid, he/she won’t notice a thing. They have healthy joints and it will be delightful for them to jump on such a beautiful trampoline as a Springfree trampoline. This is just a warning for some older people. All in all, everything has 100 pros and 100 cons. Just pick your choice. If you’d like to see some recommended Springfree trampolines, you can visit this page; if you’d like to see some big trampolines with springs and review of them, you can click here. 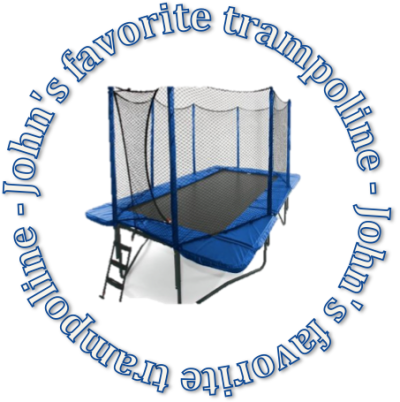 Trampolineforme.com is a participant in the Amazon Services LLC Associates Program, an affiliate advertising program designed to provide a means for sites to earn advertising fees by advertising and linking to amazon.com. The modest fees we receive this way is used to fund the website and make it running just for you. Trampoline for Me! All rights reserved.